This guy’s job is to maintain the walls at Hill-Stead Museum in Farmington, CT. This makes him a stakeholder. Decisions about stone walls are made from many different perspectives, each having its own self-interests and shared concerns. Most of us who care about stone walls fit into several of these somewhat arbitrary categories. The main concern here is individual rights. The mantra is “Mine, Mine, Mine.” Most landholders do the right thing and are quite sympathetic to the needs of the collective. 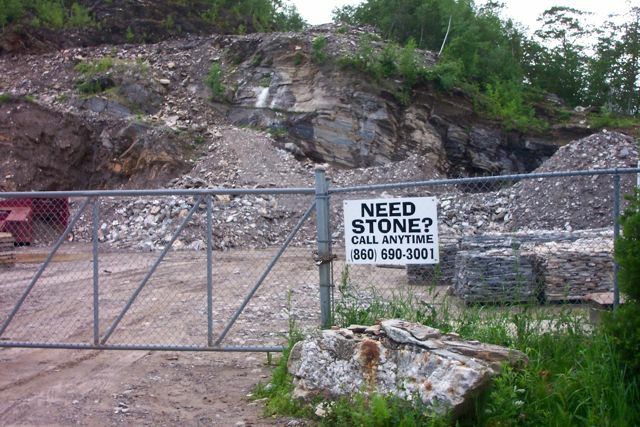 Becoming more aware of the stone trade, asking questions about where landscaping stone comes from and where it goes, when they chose to buy and sell it. Assuming there are applicable regulations and laws in place and consulting state and local agencies before doing anything. Discussing the issue with neighbors and associates. Writing article in local newspapers and community newsletters. 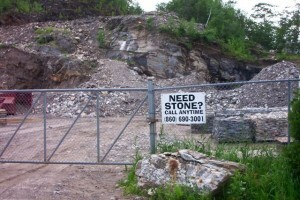 A fine source for stone in Bolton, CT. 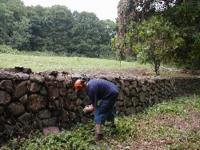 Historical Societies, Land Trusts, Conservation Organizations, Hunting and fishing clubs, Educational Organizations, and others are all putting stone wall preservation on the agendas of their meetings and adopting positions on specific issues. These groups vote to make decisions about the stone walls on properties they own and manage. These groups adopt positions in order to influence the decisions made by other groups. They are most concerened about the beauty and craft of working with stone in gardens and landscapes. Their mantra is “Beauty, Beauty, Beauty.Masons, architects, builders, quarry operators, excavation contractors are becoming more sensitive to the cultural value of what is otherwise a raw material commodity. Not good. 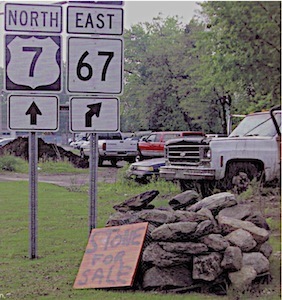 Stone sold like firewood on the roadside. When I saw this scene, my first thought was of a teenager trying to pick up some pocket money. Educating their engineering, maintenance, and facilities staff (road crew, waste, planning, groundskeeping, parks, etc.) about wall resources. Listening to the Town Planner, who may have started a stone wall map in town, using the GIS systems that are not imperative. A stone wall layer is a good thing to have in the map stack.